“Falling Water” -- a mind-bending drama debuting fall 2016 -- is the story of three unrelated people who slowly realize that they are dreaming separate parts of a single common dream. The deeper they dig, the more they come to realize that the visions found in their common dream just might hold the key to the fate of the world. The series, from Universal Cable Productions, is executive produced by Gale Anne Hurd (“The Walking Dead”) of Valhalla Entertainment, Blake Masters (“Brotherhood”) and the late Emmy Award-Winner Henry Bromell (“Homeland”). Lizzie Brochere (“American Horror Story: Asylum”), David Ajala (Fast & Furious 6) and Will Yun Lee (“Hawaii 5-0”) star. 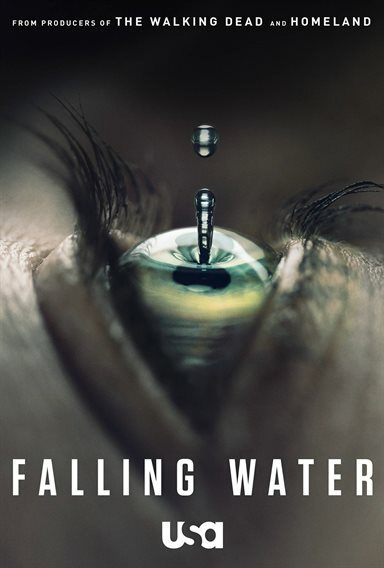 Download Falling Water in Digital HD from the iTunes store. Falling Water images are © Universal Cable Productions. All Rights Reserved.